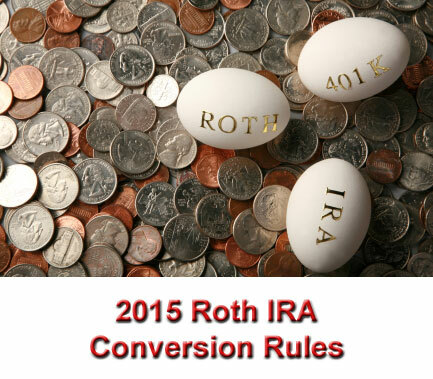 What are the 2015 Roth IRA conversion rules? You've probably heard a lot about the changes that took place in January 2010. But how do they impact you? Because under the old rules, high income earners were prohibited from doing either. But as you'll see, that all changed in 2010 and remains in effect for 2015. Under old IRS rules, you could only perform a Roth IRA conversion if your adjustable gross income (AGI) was $100,000 or less. For instance, let's say you had $80,000 in a Traditional IRA, and you earned $150,000 per year. Under the old rules, you were out of luck if you wanted to convert your Traditional IRA to a Roth IRA. But the 2015 Roth IRA conversion rules are different. The $100,000 conversion limit is gone. 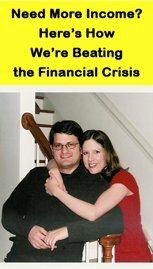 In January 2010, the $100,000 limit on Roth IRA conversions disappeared! That means anyone, regardless of income, can perform a Roth IRA conversion. For example, let's say you have a 401k you want to convert to a Roth IRA, but you earn $341,000 per year. Under the old rules, your income was too high to perform a conversion because it's higher than $100,000. But under the 2015 Roth IRA conversion rules, you're able to convert because the $100,000 limit is no longer in effect. The door remains closed for high income earners when it comes to making new contributions. $193,000 if you're married filing a joint tax return. $10,000 if you're married filing a separate tax return and lived with your spouse for any part of the tax year. $131,000 if you're single, head of household, or married filing separately and did not live with your spouse for any part of the tax year. So even though 2015 provides high income earners with a great opportunity to convert, making new contributions to a Roth IRA remains out of the question. Fortunately, the 2015 Roth IRA conversion rules open the door for anyone to make new contributions to a Roth IRA, regardless of income! If you're ineligible to make a Roth IRA contribution because you earn too much, the 2015 Roth IRA conversion rules provide you with a golden opportunity. While IRS income limits also restrict your ability to make Traditional IRA contributions, those limits only apply to deductible contributions, NOT non-deductible (after-tax) contributions. While it wasn't a direct contribution to a Roth IRA, the end result is still the same. You just made a contribution to your Roth IRA. Do you see now why the 2015 Roth IRA conversion rules effectively eliminate the Roth IRA income limits? If you earned too much to open and contribute to a Roth IRA in the past, January 2010 marked a major change. Not only are you able to perform a Roth IRA conversion, but you're free to effectively contribute to a Roth IRA by making non-deductible Traditional IRA contributions and then converting to a Roth IRA. Let's say you're 43 years old and single with a $311,000 annual income. Under IRS rules, you're prohibited from making a direct contribution to your Roth IRA. However, you CAN make up to $5,500 in non-deductible contributions to a Traditional IRA. And since the income restriction on Roth IRA conversions disappeared in January 2010, you can convert your Traditional IRA to a Roth IRA. Since you made your original contributions with after-tax dollars, those funds are NOT subject to income taxes as a result of the conversion process. So, ultimately, you end up with $5,500 in your Roth IRA as a result of making non-deductible Traditional IRA contributions and then converting to a Roth. And remember, as long as the 2015 Roth IRA conversion rules remain in effect, you can continue to do this on an annual basis. Unless Congress intervenes, the $100,000 limit on Roth IRA conversions expired indefinitely in the year 2010. So unless, or until, a new law is put on the books, you're free to enjoy the benefits of contributing to a Roth IRA, regardless of how much income you earn. The 2015 Roth IRA conversion rules mark the continuation of a significant change in the retirement planning landscape. Because of the expiration of the $100,000 income limit on Roth IRA conversions, high income earners are no longer stuck on the outside looking in. The full benefits and advantages of a Roth IRA are now available to everyone regardless of income. So if you've found yourself in the enviable position of earning too much to contribute to a Roth IRA, now is the time you've been waiting for. By making non-deductible Traditional IRA contributions and converting to a Roth IRA, you're able to effectively make Roth IRA contributions. So take advantage of the opportunity afforded by the 2015 Roth IRA conversion rules and get yourself a Roth IRA! In fact, you can use our Roth IRA conversion calculator right now to find out if a conversion is right for you.